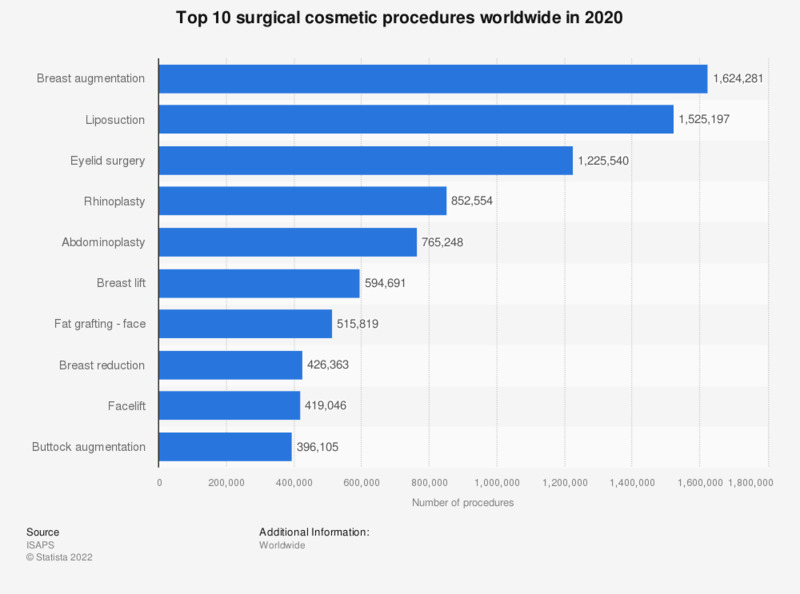 This statistic depicts the top 10 surgical cosmetic procedures worldwide in 2017, based on number of procedures. In that year, eyelid surgery was the third most common type of surgical cosmetic procedure worldwide. Some 1.35 million of such procedures were made in total globally.